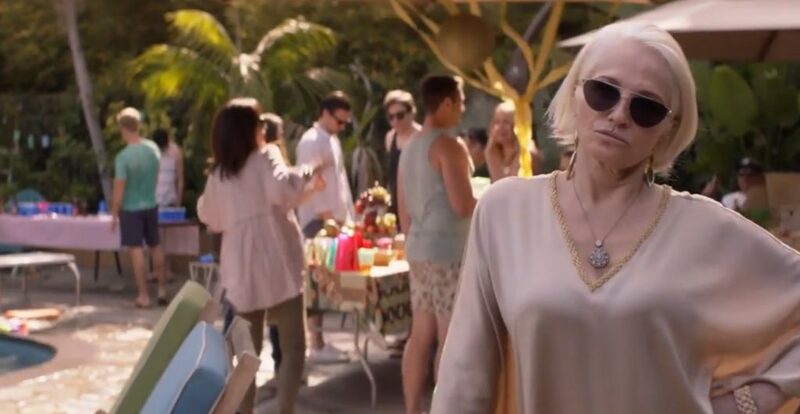 The penultimate episode of Animal Kingdom season 3 showed us very cunning sides of both Joshua and Smurf. ‘Homecoming’ also had Pope make a very emotional decision. As for Deran and Adrian’s relationship, we are definitely going to talk about that eventual mess! I was provided a screener of ‘Homecoming’ for review. The opinions are my own. The moment Pope told Smurf he knew she was the one who had Baz killed, I knew she was going to think of something to protect herself. Considering what Andrew has gone through, he is more than willing to kill Smurf. That’s why it was amazing to see Smurf’s plan be revealed. She used Lena as her shield! Pope did try to ruin Smurf’s plan. It led to him making a very emotional decision and take Lena back to her foster family. However, Smurf isn’t the kind of character to go down easily and she forced Pope to accept her terms if he wanted Lena to stay away from the dangerous Cody family. So, at least for now, Smurf is safe from Pope. As for Joshua… yeah, I’m not going to call him J anymore because of what he did in this week’s episode. I’m so disappointed in him. I know he is a criminal, but I never wanted Joshua to become a cold-hearted murderer and all just for money. The way he left Morgan to die in ‘Homecoming’ is something he can’t come back from. Also, Smurf knows Joshua has been stealing. She already had Baz killed because of him stealing from her, and as far as I can tell she isn’t going to let Joshua’s betrayal go. In just one week we’ll see how she decides to deal with the current problem. I can sense the finale is going to be everything! Remember how I said things were going to turn bad for Adrian and Deran? Remember how I said no relationship is safe on this show? Well, turns out, for some freaking reason, Adrian is going to smuggle drugs in his surfboard. It is clear he’s going to get caught in the finale and the show’s writers are going to leave his and Deran’s relationship in a tough spot. Why can’t you let Deran be happy, Animal Kingdom writers? Let him be happy! With Billy gone, it’s interesting to see Frankie coming into her own. I kind of like her and Craig as a couple. Deran and Adrian looking at houses to move in together gave me all the feels! Was anyone surprised to see Joshua turning into a murderer? Is Pope going to try and kill Smurf? Did you enjoy watching ‘Homecoming’? Feel free to share your thoughts with us. Next: The Matrix Trilogy Debuting on 4K Ultra HD This October!